Popular vote chose famous aircraft designer Nikolay Kamov to name the airport of Tomsk and geologist Nikolay Urvantsev to name the airport of Norilsk. 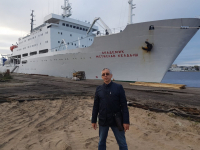 On 21 September 2018 a 35-day complex expedition on the vessel Academician Mstislav Keldysh from the port of Arkhangelsk, jointly organized by TPU and Russian Academy of Sciences. The study of the university researcher Evgenia Frantsina dedicated to molecular modeling in hydrocarbons will bring scientific community closer to the creation of an advanced frost-resistant fuel. TPU developments phytotrons, ceramic emitters, spectroscopic studies, automated control systems will be combined within a robotic greenhouse for extreme operating conditions. Tomsk Polytechnic University has become the next venue of the forum. 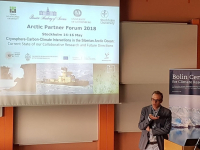 The Arctic Partner Forum 2018 takes place on 14-16 May 2018 in Stockholm, Sweden.